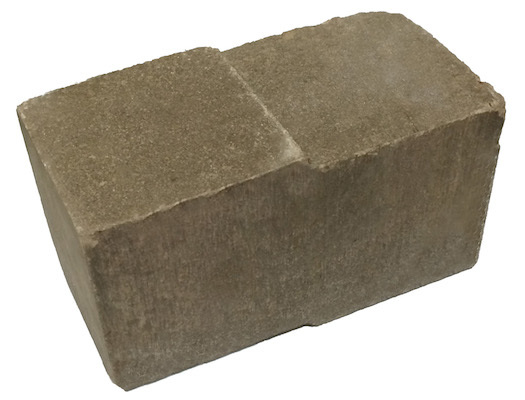 Blocks that are produced by most compressed earth block machines are significantly denser and stronger than those produced by simply using water during the compression process of making compressed earth blocks. Now, compressed earth blocks can be made even stronger and more weather-resistant by simply adding Block-Seal™ to the soil while making the blocks. 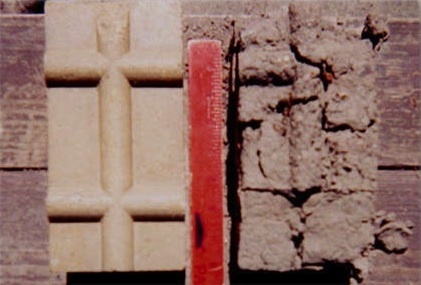 Shown in this photo, the block on the left was treated with Block-Seal, and on the right, only water was used in the production of the block. The compressed earth blocks were then left in the open air and, after a single rainstorm, the untreated block had been severely damaged. Another advantage of using Block-Seal™ compressed earth block sealant for your compressed earth blocks is that the same material used to make the blocks can also be used as a bonding agent between your blocks. This simplifies the operation by using only Block-Seal™ compressed earth block sealant, water, and the method by which you produce your blocks.